Lignocellulosic biomass is a sustainable alternative to current biofuels. The conversion of biomass-based sugars into biofuels, which emerged in 1970, is gaining more attention due to fossil fuel issues. Biohydrogen and bioethanol from cellulosic wastes is a sustainable and solves economic issues. 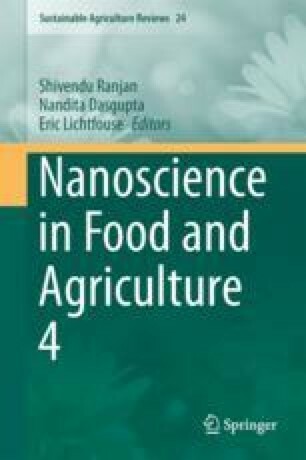 This chapter reviews the use of nanoparticles for the bioconversion of biomass into biofuels. Authors N.S. and Prof. P.K. Mishra thankfully acknowledge to DST, New Delhi, India for providing the Women scientist-B fellowship (SEED/DISHA/WOSB/047/2012/G) and Department of Chemical Engineering and Technology, IIT (BHU), Varanasi, India. M.S. acknowledges the Department of Science and Technology, Govt. of India for awarding DST INSPIRE Faculty Award [IFA13-MS-02] 2014. P. Singh thankfully acknowledges Department of Chemistry, IIT (BHU), Varanasi, India.